ART is a foster home based organization. All of our available animals are located in homes of families in the Tidewater area region of Virginia. This enables us to learn the personalities and needs of each individual animal. Where do you get your adoptable animals? We accept animals from shelter/rescue organizations, as well as occasionally from individuals who wish to surrender their pets. After you find an animal you are interested in, you can fill out an adoption application online. (Paper applications are also accepted. They are available by request, as well as at all adoption events.) Applications are approved on a case-case basis. This means that while you may be denied for the animal you originally applied for, the ART sponsor may refer you to another animal who she believes would be a better fit for you and your family. ART sponsors do all they can to ensure that the adoption will be a positive experience for the animal and the humans, and that it will be the animal’s “forever home”. If we initially approve your application (vet and personal references) we will call you to schedule a home visit (dog adoptions only). The home visit is a critical part of the adoption process for a dog, because so many factors in the home help determine a successful adoption. If we approve the home visit, and you would like to finalize the adoption, you will sign a contract and pay the adoption fee. The standard adoption fees are $75 for cats/kittens and $150 dogs/puppies. Your adoption fee is tax deductible, as ART is a 501©3 organization. Are all your adoptable pets spayed/neutered? Yes, our animals are spayed/neutered. Animal Resources of Tidewater, Inc. is a nonprofit organization committed to creating a compassionate community where there are no more stray, abandoned, or neglected animals and where destroying adoptable animals is no longer used as a means of population control. Foster parents provide temporary shelter, love, and care for an animal while a permanent home is being found. Foster homes are not required to cover any expenses involved in caring for an animal. If you are interested in fostering, please fill out a foster application (available online) to help us learn more about your family and to determine the best match for a foster animal. How many foster animals do you have at one time? There is an ongoing need for foster homes. The more families willing to provide temporary homes to local pets, the more we can assist. Our present network of foster home allows for 7-9 available dogs. A fenced-in yard is required to foster and adopt certain dogs. Some pets need the confined safety a fence can provide, while others do well in a variety of situations. Our Adoption/Foster Coordinator, as well as an animal’s sponsor can speak knowledgeably about the needs of a specific dog. I want to adopt, but you don’t have the breed/gender/age of pet I am looking for. If you would like to contact us with a description of the pet you are looking for, we would be happy to notify you should he/she become available. In addition, we would suggest that if you are looking for a particular breed, you should contact the local breed rescue for that particular dog/cat. Petfinder.org is a fantastic resource, and many local shelter/rescue organizations list their available pets weekly. They also have a search feature where you can narrow your results by zip code, breed, gender, species, and age. I have a friend who wants to surrender a dog. Will you take it? Our foster homes are extremely limited, but we can be very resourceful when it comes to re-homing a pet! Please have your friend visit our website on how to re-home a pet. Do you have any cats? Do you accept cats for surrender? At this time, our organization is not offering foster homes for cats or kittens. However, we are able to provide you with resources for re-homing. In addition, we do offer courtesy listings for owners/rescuers to bring more publicity to their available pets. Please check our website to view adoptable felines. We would also suggest that you contact local shelter/rescue groups in search of your newest fur-baby! I found a stray/abandoned pet. Can you take it? Local ordinances require that all stray/abandoned/lost/found animals be reported to animal control. This gives each pet every opportunity at being reconnected with his/her family. After you have filed that report, and complied with their suggestions, please feel free to contact us for further recommendations. You are not alone. We appreciate your care and concern for this animal. For more information, please visit the lost & found section of our website. Besides rescuing animals, what does ART do? ART achieves its mission by: rescuing and finding homes for stray, abandoned, shelter-released and owner-released animals; advocating for improved animal welfare; educating the public about animal welfare and animal issues; focusing on spay/neuter as the underlying solution to animal population control; working to build coalitions with our animal welfare partners; raising funds to support our work. You can find out more about ART in Action on our website, by becoming our fan on Facebook, or following us on Twitter. I’d like to make a donation. What will my money go for? Donations are used to offset costs of spaying/neutering and vaccinating rescued animals, run classified ads in the Virginian Pilot promoting our adoption events and area municipal shelters, as well as cover administrative and operational costs. Portions also go toward funding our focused programs such as SpayHR, Medical Assistance, Pit Bull Awareness Coalition and our efforts in legislative policy advocacy. As a 501©3 organization, your donation is tax deductible. Spay or neuter 10 feral cats or 5 dogs per year! Vaccinate 6 foster animals per year! Feed foster animals each month! Help special needs foster animals get the vet care they need! Help provide vet care for pets with families who can not afford it. 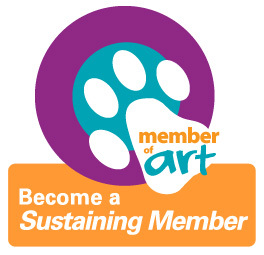 Volunteers can become active members, or Helpers of ART (HART). Our volunteer opportunities are constantly evolving and include, but are not limited to: fostering, staffing fundraising/outreach/adoption events, transporting animals, handling dogs at events, taking photos/videos of available pets, and working with other ART members to influence current policies and future legislation involving animal welfare. My child/teen wants to volunteer. At this juncture, all volunteer opportunities are restricted to participants 18 years of age or older. However, the Norfolk SPCA and Virginia Beach SPCA have fantastic junior volunteer programs. We would suggest contacting them for specific details.